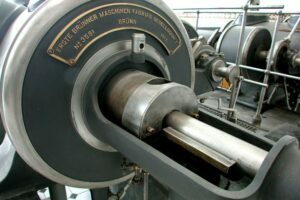 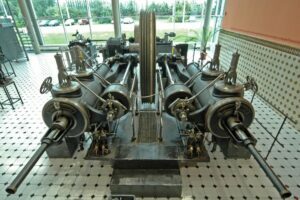 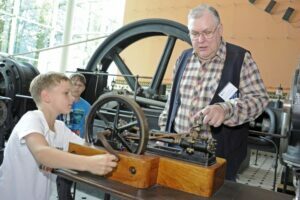 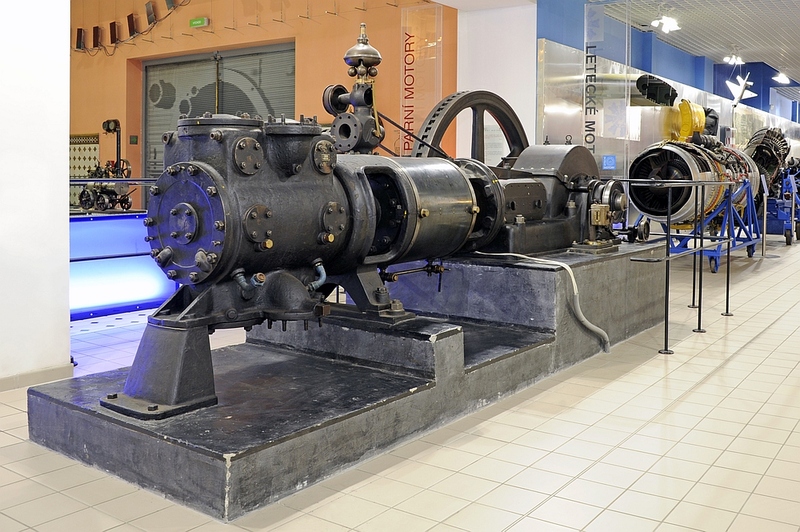 The display is focused mainly on machines which were produced and operated in the Moravian region at the turn of the 19th and 20th centuries, i. e. in the period of growth of high-performance steam engines and the use of the first steam turbines. 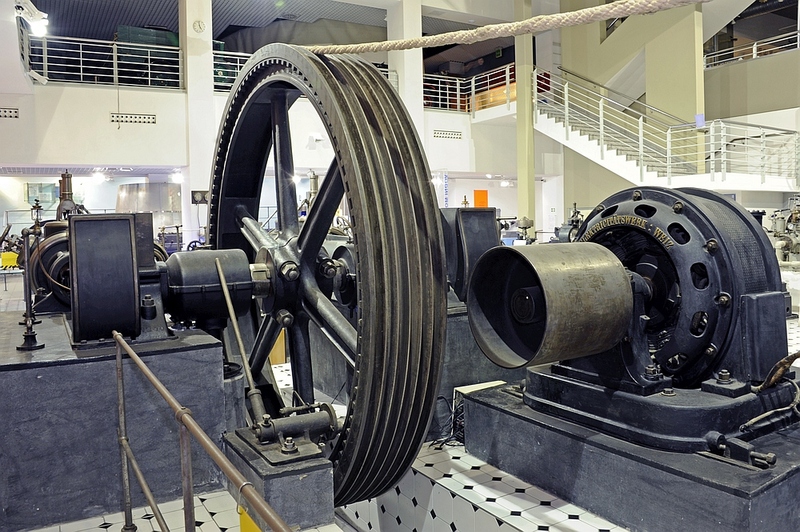 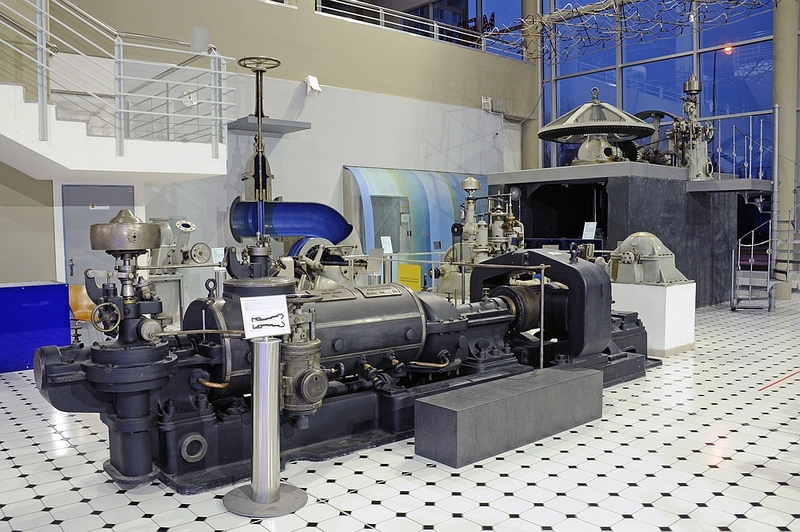 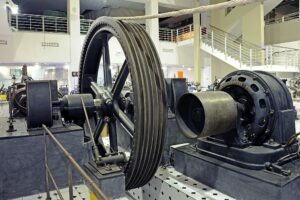 The display shows different constructions of great steam engines, an agricultural steam locomotive and one of the first compound steam turbines which were produced in Europe. 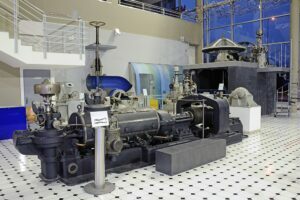 Parts of big machines, regulation systems, steam distribution and lubrication, boiler fixtures, measuring instruments, tools and practical illustrative sections and models are also displayed.